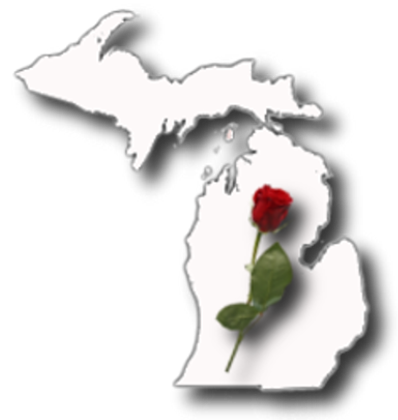 The Mid-Michigan Chapter of Romance Writers of America (MMRWA) was formed in 1984 to serve Central and Western Michigan writers of romantic fiction. Its purpose is to promote excellence in romantic fiction, provide continuing support for writers within the romance publishing industry, to help writers become published and establish writing careers. Our monthly luncheon meetings rotate between Grand Rapids, Lansing, Kalamazoo, and Marshall on the third Saturday of the month. The day includes a business meeting and a program on the topic of writing. Guests may attend two regular meetings without the obligation to join the chapter and the national organization. Guests are welcome to join in discussions, but may not read their material, or use the time for their own benefit, unless specifically asked to participate. MMRWA is a not-for-profit professional writers' association and an affiliated chapter of Romance Writers of America® (RWA® ). Chapter membership is contingent upon membership in RWA®. The annual MMRWA dues are $30, payable by December 31st.